We know you value reliability and performance when it comes to your Mazda. At EMG Mazda our service team are here to help. They’ll make sure your car is serviced by a Mazda Technician who has the skills and knowledge to deliver a quality service you can trust. Protecting the enjoyable driving performance of your vehicle is easy with a Mazda Service. At EMG Mazda we want our expert advice to be attainable, that’s why we offer a range of Mazda approved servicing and aftercare products that are built around you. Plus regardless of age or mileage, our team is dedicated to providing fair and transparent pricing, with no hidden costs. Follow the links on this page for more details about our helpful aftersales services. Protect any existing warranties on your Mazda. 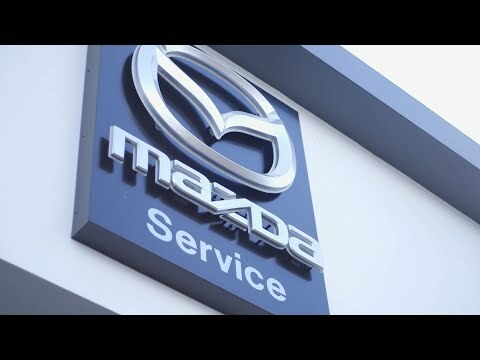 Service and Maintenance Plans are designed around your Mazda’s service schedule. Expert advice – you’ll receive an honest appraisal that’s based on years of experience. We’ll run the latest diagnostics software and follow the latest Mazda advice and training. We stock Mazda Genuine Parts so we can ensure you get the best reliability and performance from your Mazda.These parts also come with their own Mazda warranty. We’ll ensure your secure online Digital Service Record is updated. This digital replacement for the service booklet shows your service history with Mazda, helping protect your car’s value. You can access you Service Record via the My Mazda App. We are a member of the Motor Ombudsman. You can use the garage finder tool on the Motor Ombudsman site to see what our customers have said about the service they've received from us.